EveningStar Kennels was established well over 30 years by Victor and Gaila Brickus. We are located in the foothills of Temecula Valley in Sunny California, between San Diego and Los Angeles. There is 5 + acres for our Vizsla to run, explore and play in this quite country setting. 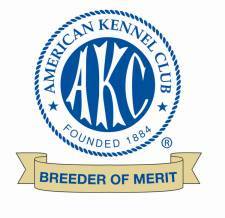 We have over 30 years experience breeding, training and showing our wonderful dogs. Along with Victor and myself we have 4 children, (3 young adults, & a 12 year old daughter) nieces and nephews that play, feed, groom and socialize with our puppies and dogs. Our children are active in showing in confirmation and travel throughout the United States and Canada competing with the Vizslas. We have produced numerous generations of champions, but our most cherished accomplishment is that we produce wonderful companions to families. We are devoted to raising beautiful, healthy, well socialized and balanced Vizslas which are free from hereditary health problems and offering lifetime support-a combination that cannot be beat! Through our commitment, experience and expertise, Eveningstar Kennels has establised a business relationship with our clients that endures for a lifetime! Be sure to inquire about our training programs for your puppy/dog. We hope you enjoyed your visit to our web page. Please take a minute to look at some of our other pages, links and come back to visit again. We frequently add and change pictures to let you know what we have.